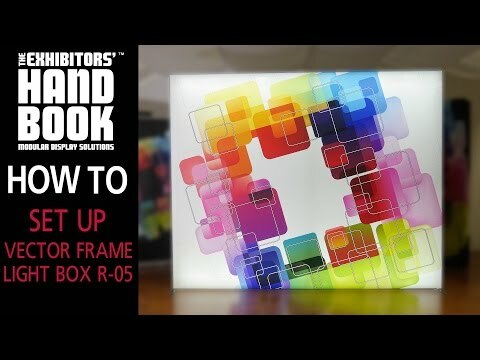 Vector Frame™ modular fabric light boxes add illuminated, easy-to-read messaging to retail, trade show and event environments. These backlit fabric displays feature LED strip lighting that is pre-attached to the frame for ease of setup. Useful in all environments, the backlit graphics make messaging stand out from the crowd. Extrusion frames are easy to assemble and are available in a variety of shapes, sizes and heights. Displays feature single or double sided graphic options, and pack down easily for portability. © 2019 Vegas Display. All Rights Reserved.